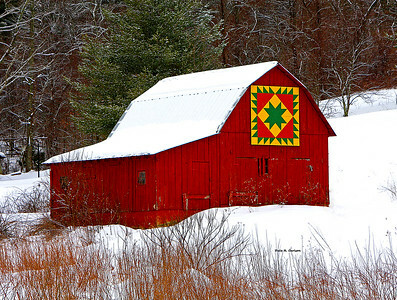 Winter Weather and snow beautify the winter landscape of the Blue Ridge Mountains. 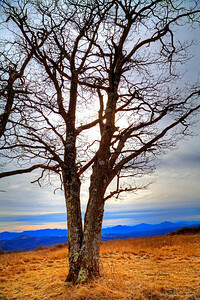 The long range mountain vista from the summit of Pond Mountain in Ashe County, North Carolina. 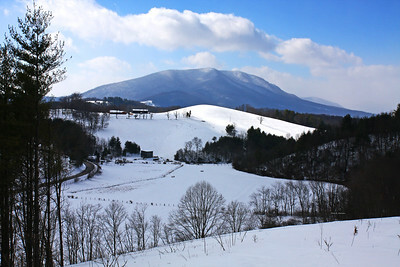 Pond Mountain was named by Peter Jefferson, Thomas Jefferson's father when he was surveying the Virginia / North Carolina state line. 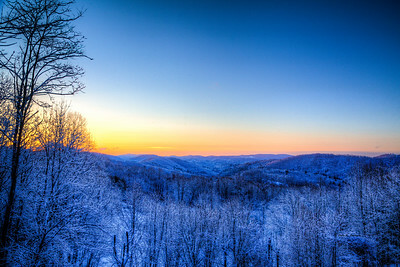 A glorious winter sunset in the Blue Ridge mountains of Ashe County, North Carolina. 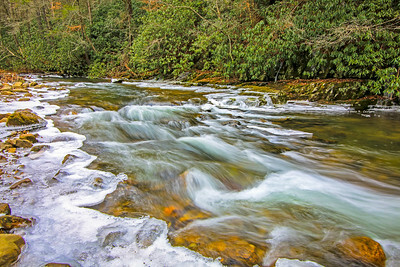 A pristine winter vista created by newly fallen snow in the Blue Ridge mountains of North Carolina. 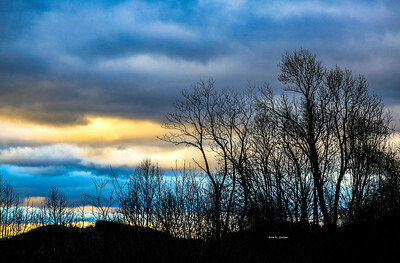 A threatening winter sky harbors snow in the Blue Ridge mountains of North Carolina. 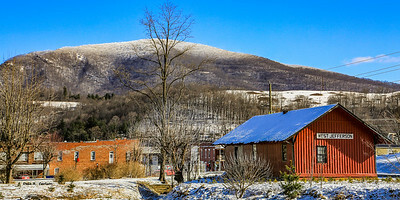 A winter vista in West Jefferson, North Carolina with new fallen snow on the old train depot and rime ice adorning the summit of Mount Jefferson. 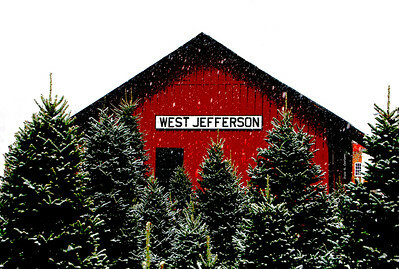 A winter vista of the town of West Jefferson nestled in the heart of the Blue Ridge mountains in Ashe County, North Carolina. 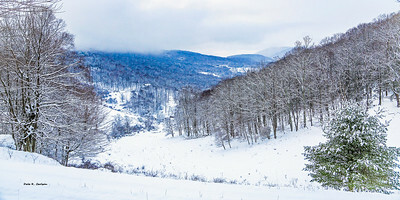 Day breaks over the snow-covered blue ridge mountains. 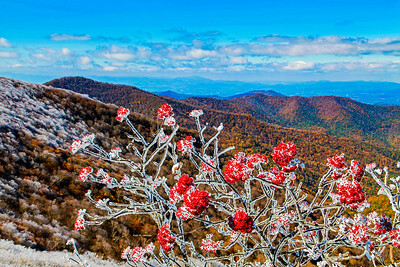 Fog lends a mystic aura to the mountain sky surrounding these ice-laden branches. 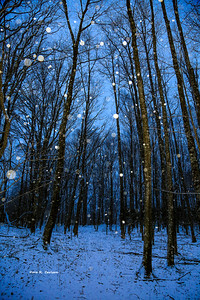 Gentle falling snow in a serene forest in Ashe County, North Carolina. 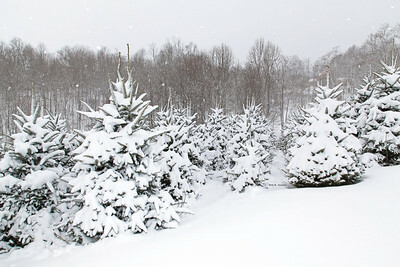 Heavey snowfall blankets a field of Fraser Fir Christmas trees in Ashe County, North Carolina. 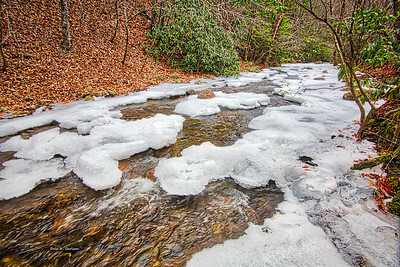 Ice frames the quickly flowing water of Laurel Creek in this winter scene from Damascus, Virginia. 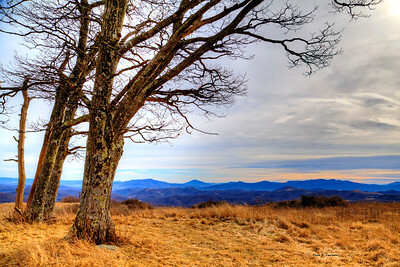 Long range winter vista from the top of Pond Mountain in Ashe County, North Carolina. 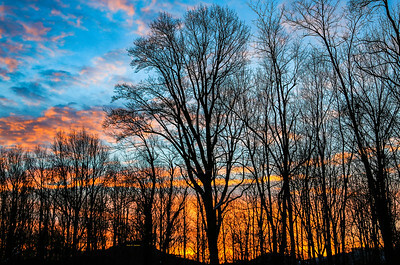 The highlights of the sun descending behind the bare tree branches reminded me of a "Dreamcatcher". 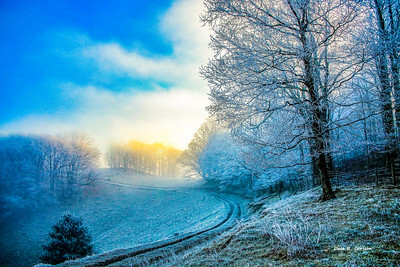 Rime ice coating the trees just before a Blue Ridge mountain sunrise. 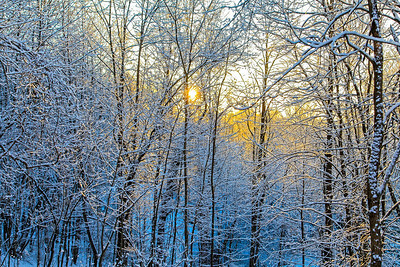 Sun rises through a web of snow covered trees in the Blue Ridge mountains of Ashe County, North Carolina. 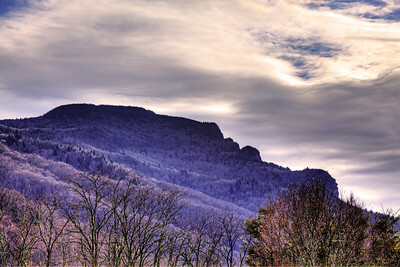 The "face" of Grandfather mountain in a deep winter sleep in the Blue Ridge of North Carolina. 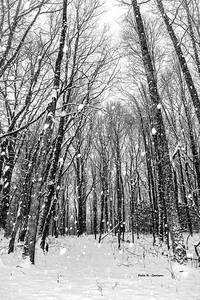 There is nothing more peaceful than a walk in the snowy woods at nightfall. 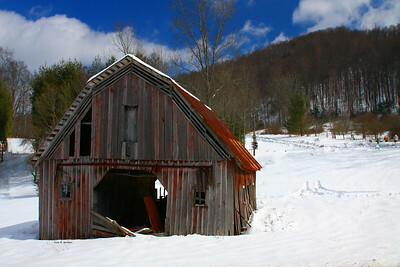 Winter scene on Highway 88 north of Jefferson, North Carolina.